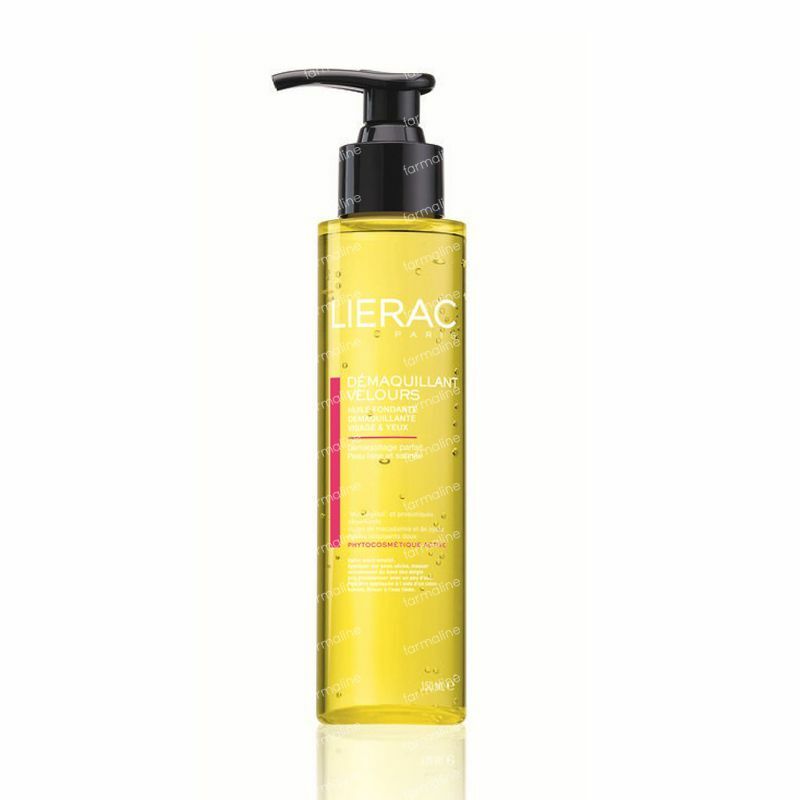 Lierac Demaquillant Cleansing Oil 150 ml order online. -Botanical “honey” and detoxifying probiotics: the combination of these two active ingredients forms the Écoskin complex, to help preserve the skin’s ecosystem and stimulate its natural defenses. -Macadamia and jojoba oils: selected for their protecting, moisturizing and soothing properties. Shake before use. Apply to dry skin and massage gently with fingertips, then work up a lather with a little water. Can also be applied with a damp cotton pad. Rinse with lukewarm water. Skin is ready for the application of your daily LIERAC skincare products. Very good cleansing oil! You need just 2-3 min to take off all your make up . Usually using in the shower , what is very comfortable. Recommend! For sure will buy more . A very good makeup remover that leaves only soft skin. Pleasant to use and a good deep clean! The pump bottle is easy and the price/quality is great!!! The best makeup remover I've tried so far. My skin looks so much smoother and feels super soft after using it. I use it every evening to remove all of the makeup from my face, the biggest benefit you get from this is that you can use it around the eyes too. It doesn't sting!